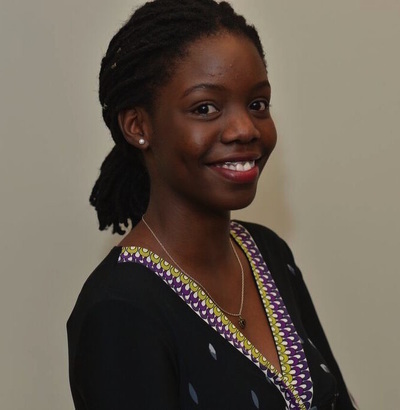 A recipient of the MasterCard Foundation Scholarship, Nicole Mugeni is a graduate of the W.P. Carey School of Business at Arizona State University. In May of 2018, she earned a B.A. in Global Logistics Management and a B.S. in Supply Chain Management. On campus, Nicole was a member of the African Students Association. In 2017, she worked at Kasha with SHE-CAN mentor Amanda Arch as a supply chain intern. Nicole expanded Kasha’s distribution channel by establishing new pick up points for cost effective and convenient delivery to residential customers. In fall 2016, she worked on the Last Mile Project for Target and in summer 2015 she interned with the Rwanda Development Board in Kigali where she prepared a market intelligence report to assist in the East African Market Research. Nicole is a distinguished graduate of Cornerstone Leadership Academy. Before she joined SHE-CAN, Nicole volunteered as an executive member of Builders of Hope for Africa and led successful initiatives including raising donations for school fees to help disadvantaged children remain in school. Additionally, she’s been involved with organizations such as Africa Youth Leadership Forum and Youth Impact Mission that align with her vision of building a new generation of African leaders that work towards reconciliation and unity in Rwanda.